Why suffer the headache of network disruptions and costly IT bills? We believe in treating all our customers with the highest level of service. That is why we only offer platinum level Business IT support in Enfield and across Hertfordshire and North London. 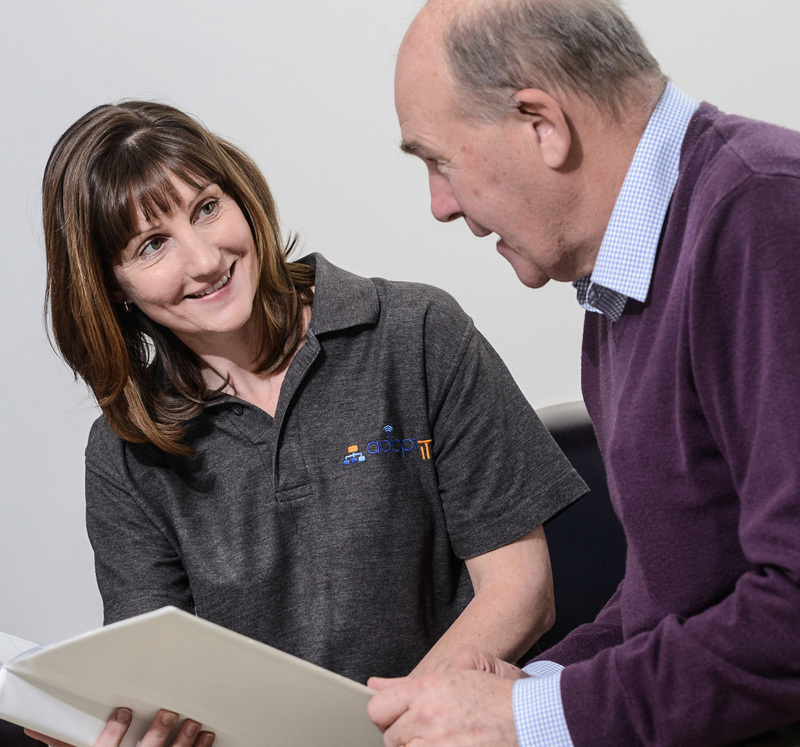 Our experienced technicians work hard to provide a personal support service for your business that facilitates a quicker, more reliable solution. We effectively operate as your IT department. Support staff that KNOW YOU (Close team that work together). Our 100% commitment to providing you with a responsive and expert service ensures that when it comes to your IT needs – you will want for nothing. Our expert team is on hand for dedicated 24 hour support, guaranteeing that you have our expertise and experience whenever you need it. 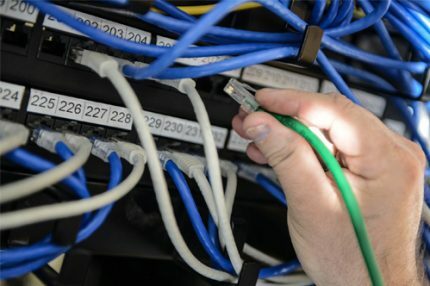 adaptIT delivers a full IT consultancy service for our clients advising on computer networks, server installation, email hosting and internet providers to name just a few. We use the latest industry knowledge to help you make an informed decision and then support you in whatever decision you make. We will help you calculate the risk based on our own experiences and whether you have a peer to peer, active directory or a multiple branch office network; adaptIT will make it the best it can be for the budget you choose. 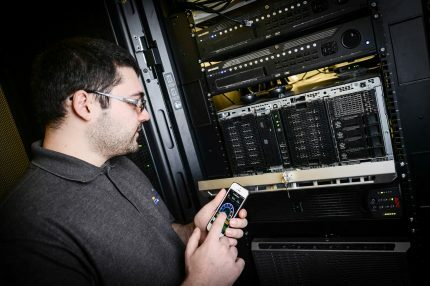 In many ways your computer network is the hub of your business, connecting all the vital components of your organisation together and facilitating the smooth sharing of resources, ideas and information. A break in your network is a break in the flow of information in your business and a snag you don’t need. 24-hour support is synonymous with a good IT Network support. We know it is vital for your business that your network runs at optimum efficiency and without interruption, which is why our dedicated adaptIT team are always on hand to make sure your network is safe, unfailing and managed in the right way to improve performance. We have over 25 years expertise in IT network installations. If you are planning to move into a new premises or you are a brand new business, we can help you design, build and launch a complete network system that will support and future-proof your business. Our skilled technicians can project manage the entire process, from start to finish, so you have a smooth launch without any disruptions. Our telephone helpdesk is located at our Hoddesdon office and the lines are open from 9am to 5pm on weekdays. Mobile numbers are provided for early starters or late finishers and a call out rota is provided to clients who specifically need 24-hour cover. 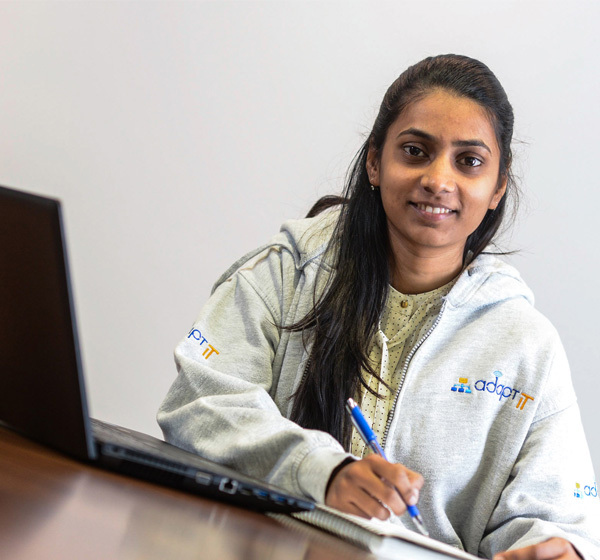 Our founder and the font of all IT knowledge is never far away from the team, as are our in-house software developers; excelling in various languages such as php, java and C.
Contact us now to find out more about our Helpdesk Support services. Once your network is launched you need the best support to maintain it. If you have an existing network you need to be confident that you are in safe hands and that any potential issues are identified and averted. We continually monitor, stress test and troubleshoot our customers’ networks to ensure they function at maximum efficiency. If we spot an opportunity to improve your network speed or security we will let you know immediately. With all the potential risks out there it is vital we keep ourselves up-to-speed with the latest developments. 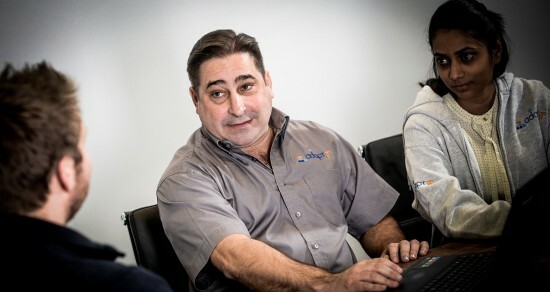 Our leading technicians have security at the top of their agenda. 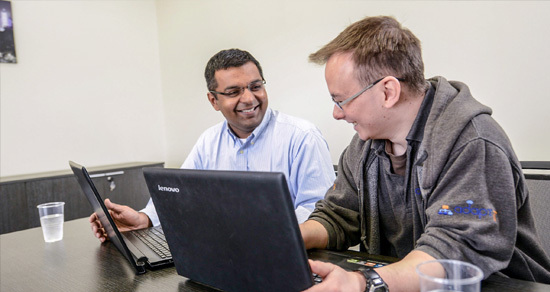 We regularly audit our customer IT networks to identify improvements that can be made. Likewise, we will audit your existing network and make recommendations to improve your infrastructure, enhancing your IT security to ensure your data continues to be safe from theft and harm. Sometimes things can happen that are out of our control such as fire and flooding. Therefore, it is imperative to have a recovery plan in place to ensure your systems are loaded into a new environment, quickly restored and in full working order. Contact us now to find out more about backup and recovery services.